The hilarious tale of three middle-aged Yorkshire couples (pillars of the community) who are celebrating their joint silver weddings. In the midst of the celebrations arrives the chapel organist with some very disturbing news concerning the validity of their marriages. An evening of home-truths, recriminations and mayhem ensues. ISN'T it funny, how your memory plays tricks on you? I arrived at Altrincham Garrick expecting not to enjoy?When We Are Married?and left feeling well and truly entertained. Even though I've seen the play several times I thought, for some reason, that it was old hat. And yet, although society's rules have changed, it's remarkable how fresh and sprightly Priestley's dialogue still sounds today. He certainly has a way with words, does our JB. 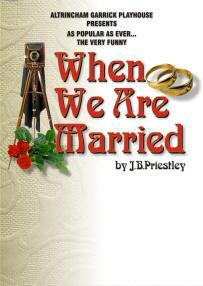 Three couples, all pillars of the Yorkshire community in which they live, have their lives turned upside down when they discover, to their horror, that their marriage certificates aren't worth the paper they're written on. Throw into the comedy mix a newspaper photographer whose world is permanently out of focus as a result of his penchant for the booze and a hard as nails housekeeper who's out to line her own pockets and you have the recipe for an evening of good, clean fun. You could take granny to see this, as there's nothing to offend. Maureen Casket's production zips along and the director makes sure her cast, one of the strongest ensembles seen at the Garrick this season, doesn't waste a word of Priestley's often witty script. Geoff Noar treats us to a brilliant piece of character acting as the pie eyed photographer Henry Ormonroyd and Julie Broadbent is really good as Ruby the maid. It's probably unfair to single out individuals because, to borrow a phrase from the world of sport, this is a great team performance. What I liked about this play is that the characters are real people and not shallow, plumy voiced, middle class twits getting their knickers in a twist over their potential loss of face. Indeed, had Priestley set the piece among the chattering classes it probably would have been a complete turn off. These are people who have pulled themselves up by their own boot straps and got on in life. 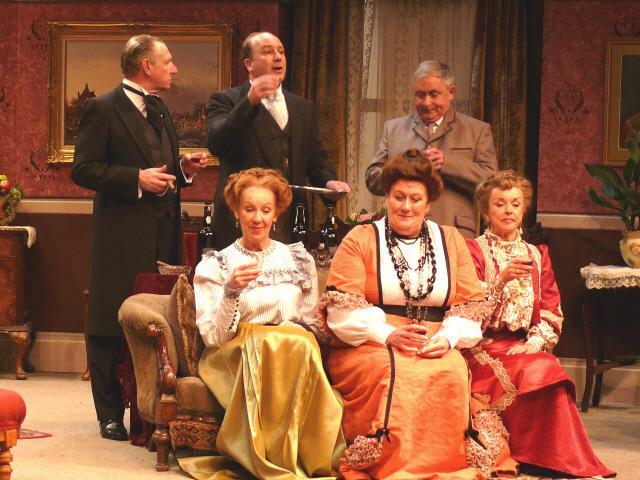 Margaret Norris has designed a sumptuous set - a perfect backdrop for a perfect evening in the theatre.When We Are Married?may have received its world premiere in the 1930s, but there's no sign of any wrinkles in this production. Enjoy. I HAVE never, as a journalist, come across a photographer who got drunk on duty. 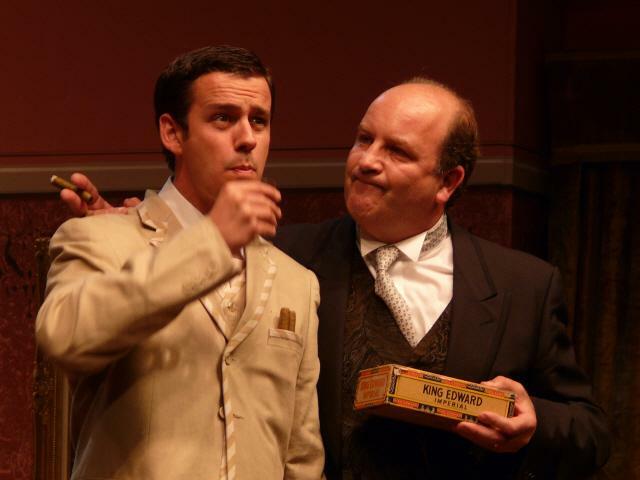 But who can blame Henry Ormonroyd for having one too many in this classic comedy at the Garrick Theatre. After all, he has to snap three anxious couples who, after 25 years together, discover they are not legally married! Even when squiffy, Henry is a philosopher. ?If God had intended men to wear collars he would have put collar studs in their necks! ?, he announces in his slurred way. Geoff Noar is an inspired choice for this part - character parts are his forte. 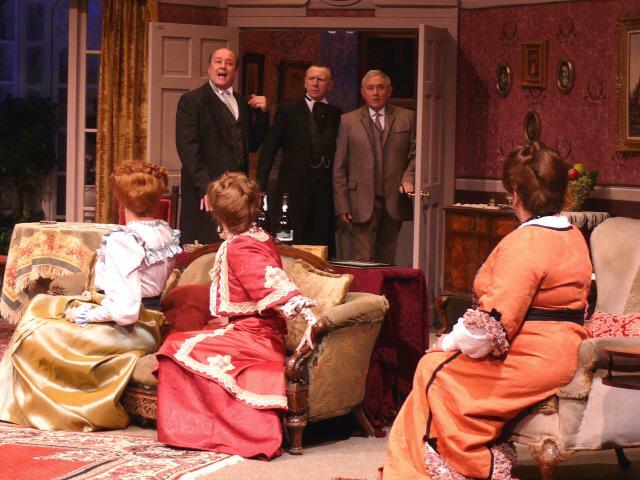 J.B.Priestley?s comedy was first performed in 1938 at the Manchester Opera House, six years after the Garrick opened, yet, even now when there is no longer a taboo about ?living in sin?, people still enjoy seeing the pompous floored. Indeed, the audience on Monday night liked it more than most. Their applause at the end was deafening. The dilemma of the three respectable couples is conveyed with well observed Yorkshire accents. They contrast with the ?lah-di-dah? voice of Gerald Forbes, (Nick Curror) the church organist who breaks the news that they are not technically wed. The hosts of the joint silver wedding party are Alderman Helliwell and his society wife, Maria (Alison Davis). How proudly David Gonet?s, Helliwell flaunts his local eminence and how amusing both verbally and facially is his reaction to his downfall. The other two couples, the Parkers and the Soppitts, appear to be enjoying married bliss but, when the ties are apparently cut, they express their real feelings. Mike Shaw?s Councillor Albert Parker is selfish, conceited, and above all ?stingy? treating his long-suffering wife Annie (Margaret Leslie) with contempt. She appears unconcerned but, my, how she changes when released from wedlock. The situation is reversed with the Soppitts. 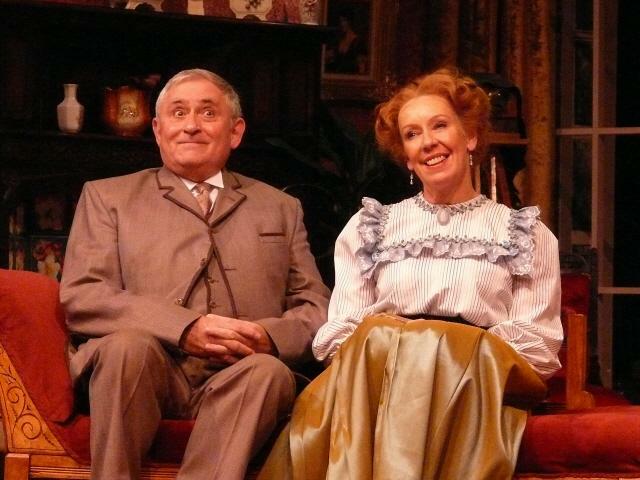 It is the husband, Herbert, (Bill Platt) who is downtrodden and his wife, Clara (Janet Slade) who has the upper hand. 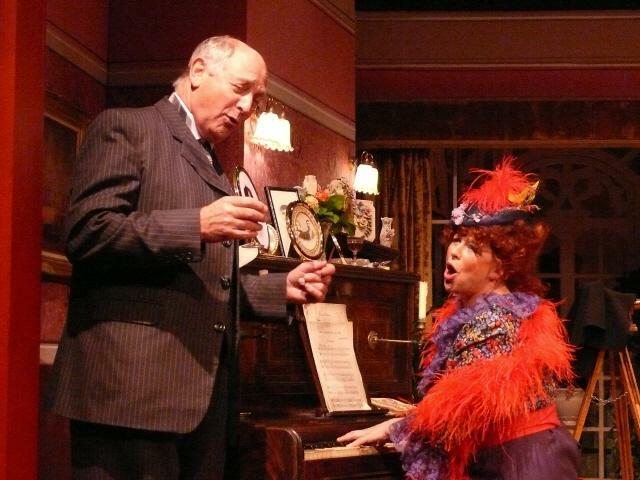 Bill and Janet give first class performances when Herbert finds his voice and Clara is placed under his newly found firm thumb. 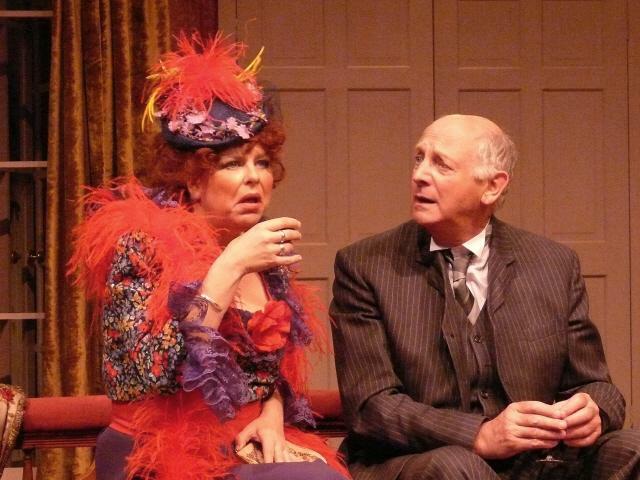 The play brims with gentle humour particularly when Dawn Flint?s raunchy Lottie upsets the apple cart even further. 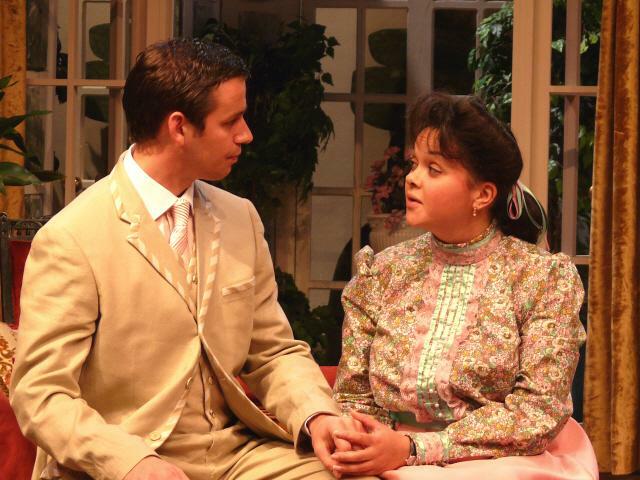 I like the way Priestley plans the stage appearances of the men, women and couples at different times enabling us to understand their motives. The ending, like the final bars of a symphony reaches a well-rounded crescendo ? and Henry Ormonroyd finally gets his explosive photo! 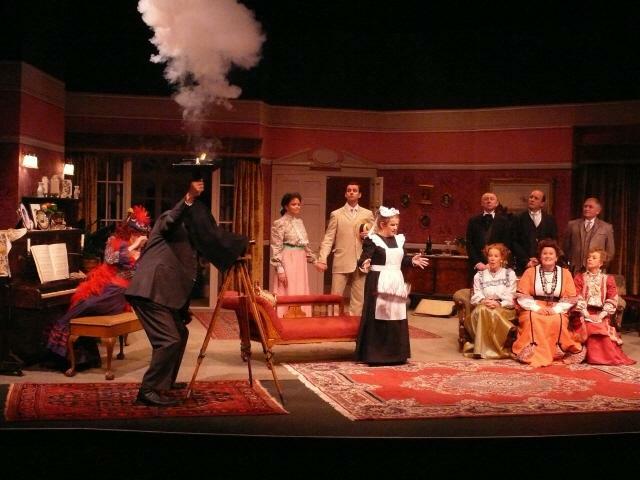 That'll probably be your main reaction when you emerge from Altrincham Garrick after seeing their latest production, the JB Priestley classic?When We Are Married. Three well heeled, middle aged Yorkshire couples, the archetypal pillars of the community, found themselves surrounded by wagging tongues when it emerges that their marriages are a sham. This revelation, shocking in 1908, the year in which the play is set, puts something of a dampener on their joint silver wedding celebrations. "The clergyman, who married them 25 years before, was new to the job and he hadn't signed all the things he was supposed to sign to make him a person who was entitled to carry out the ceremony of marriage. They thought they were married, but they weren't. In 1908 that made them deeply unrespectable, didn't it? They're all big men at chapel, very self important and they've all got on in business. 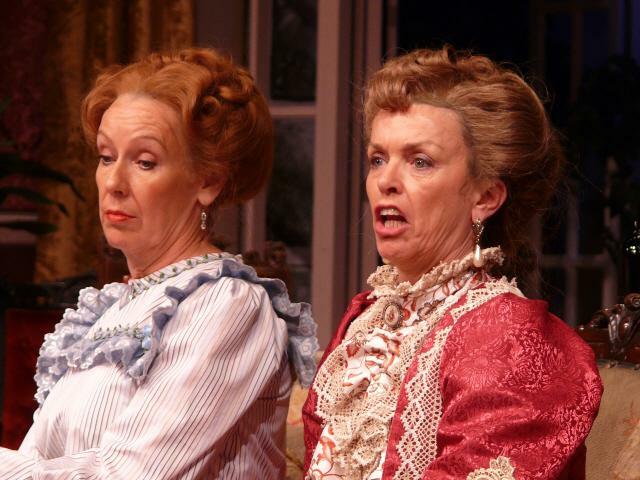 But here they are, the laughing stock of the local community," says the production's director, Maureen Casket, who goes on to describe the piece as a good bit of fun. 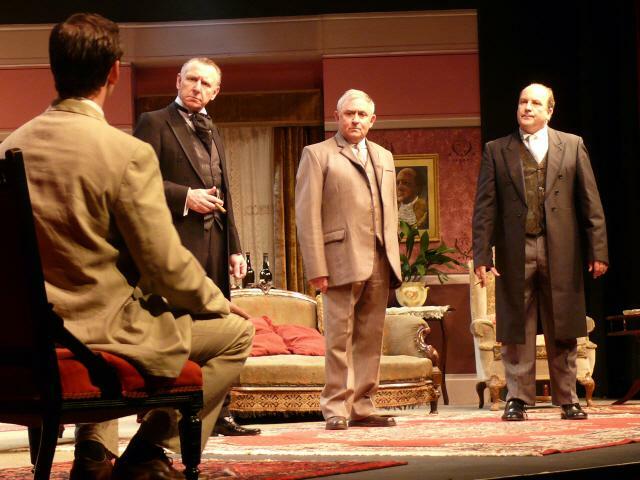 It was Priestley, of course, who brought us?An Inspector Calls, that masterly social comment play masquerading as a thriller. For me, that's one of the best pieces of theatre ever to emanate from these shores. But it was one of his other great works, his novel The Good Companions that began Maureen's lifelong love affair with his writing. "I always remember, when I was at school, and I was reading The Good Companions and the headmistress was walking past and said, Maureen, are you reading it for the first time? I said yes and she said Oh, I do envy you. She said there's nothing like reading The Good Companions for the first time. She said I continue re-reading it, but nothing compares with reading it for the first time," she says.